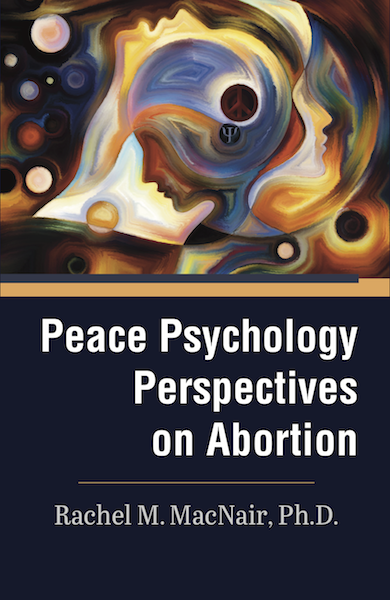 the Feminism and Nonviolence Studies Association, Inc.
Our new book, Peace Psychology Perspectives on Abortion, is now available! Send e-mail to Rachel MacNair, Editor-in-Chief, at rachel_macnair@yahoo.com. This is also the address to send inquiries for receiving paper copies of the journal. All volumes are available for purchase. Click here to learn more about the Feminism and Nonviolence Studies Association. Questions about the web site? Page last updated: August 3, 2016. Portions © 1997, 1998, 1999 FNSA. All rights reserved. Web page design by Terwilliger Web Development Services.